Before I begin let me apologize for the lack of pictures. I have them, but for some unknown reason, I have been unable to upload them to the website. I will try and find out why and add them as soon as possible. It has been a couple of months since my old “neighborhhood” foodies got together for one of our weeknight dinners. 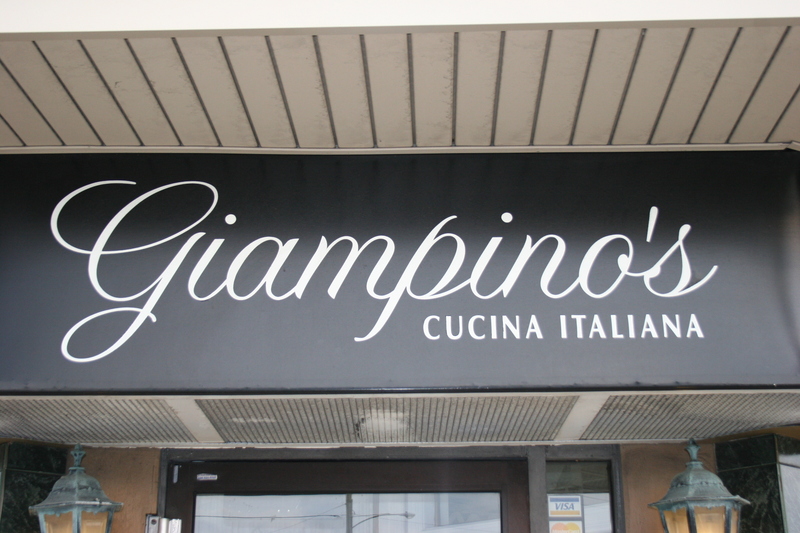 Four of us met last night at Giampina’s Cucina Italiana on West Chester Pike in Manoa, PA to drink some wine, enjoy some food and retell the same stories we have been entertaining each other with for more years than we like to admit. Steve J., Frank D., Ange C. and myself arrived about 6:15 and our capable server, Shannon was nice enough to move us from a table next to a rather loud group to a nice round table in the rear of the attractively designed bistro. She brought some warm bread to the table while we talked and looked over the menu. 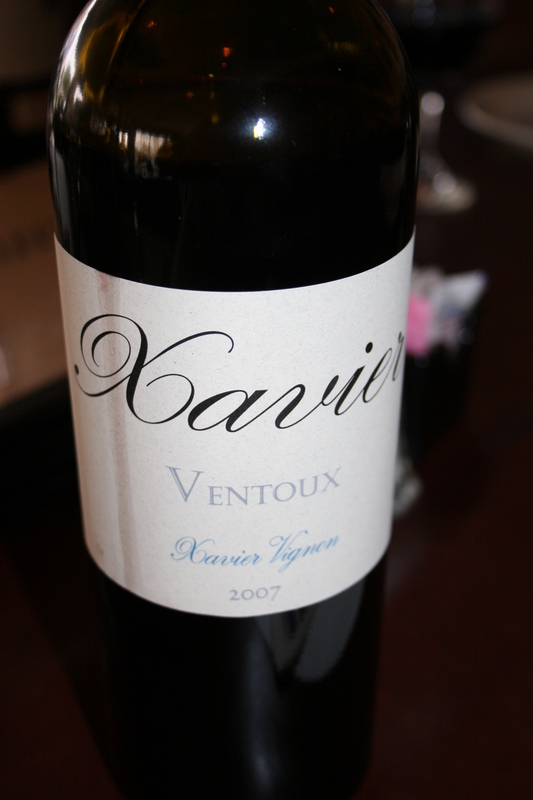 My wine for the night was a 2007 Xavier, Ventoux, a soft, aromatic southern Rhone from a great vintage that is just made for a wide variety of rich foods. I had bought this a few weeks ago at Moore Brothers in Pennsauken, NJ and I thought it was just perfect at $14.00. After careful deliberation Steve found just the right appetizer to accompany his taste tempting little bottle of Cavit Pinot Grigio, actually, he had two little bottles of Cavit Pinot Grigio because, let’s face it, who can drink just one of those thirst quenching nectars. He ordered the Lobster Ravioli, which, at $11.50 was about 14 times what his wine cost. 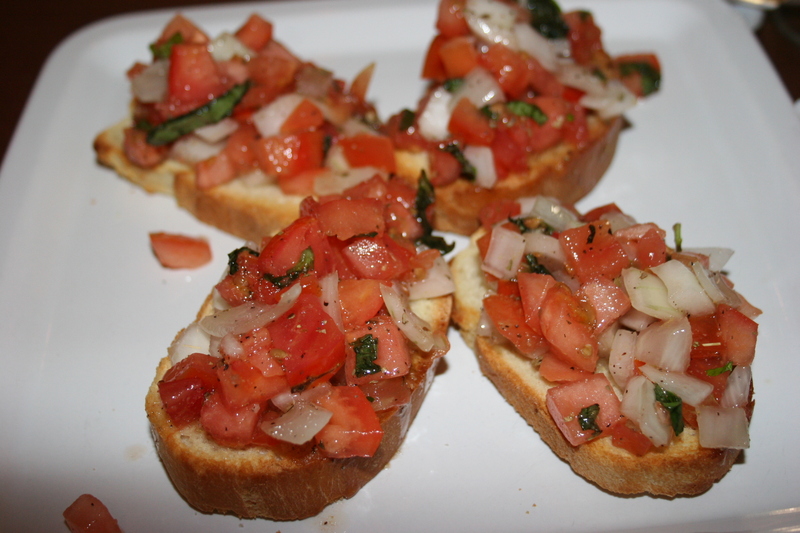 I chose the Bruschetta which was not bad at $5.00 for four nice sized pieces. 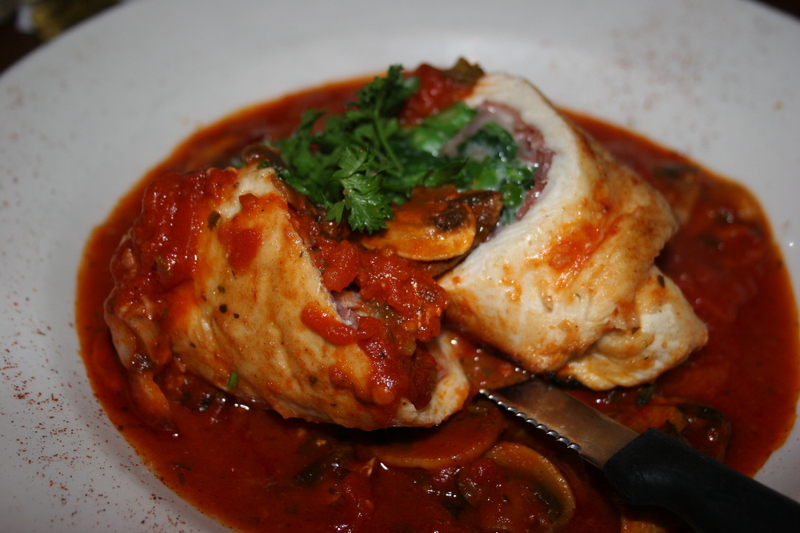 Between laughs and lies we managed to finish our salads and select our entrees and I settled on the Chicken Voldastano- Stuffed with smoked mozzarella cheese, broccoli rabe and prosciutto finished in a mushroom sauce. 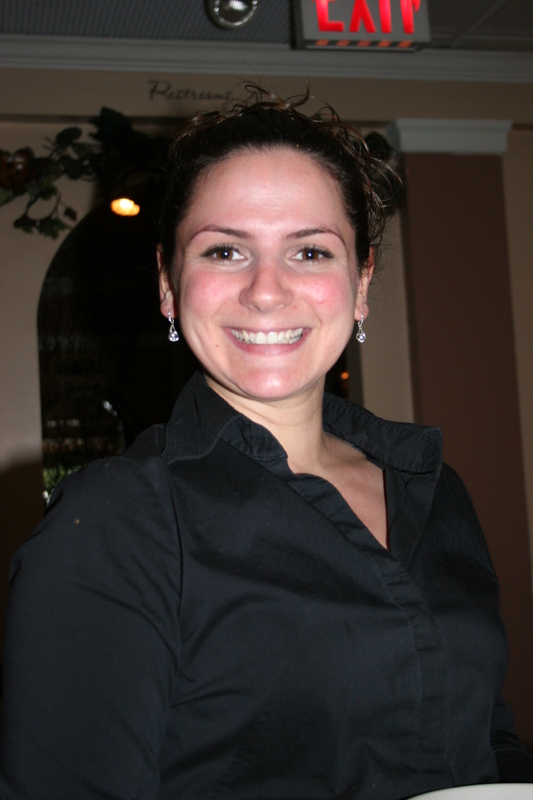 Shannon said there would be no problem substituting the marinara sauce for the mushroom sauce and that sounded perfect. 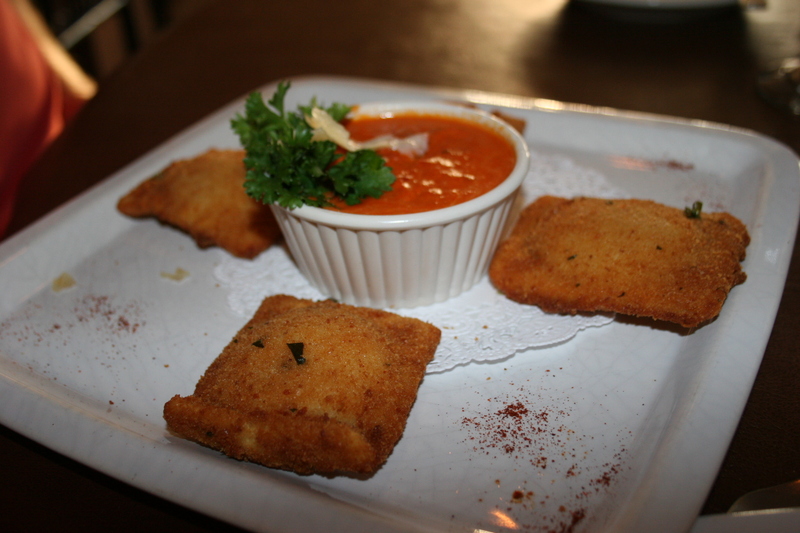 My dish, which was accompanied by a side of spaghetti, was tasty and the wine was perfect for the rich Italian flavors. 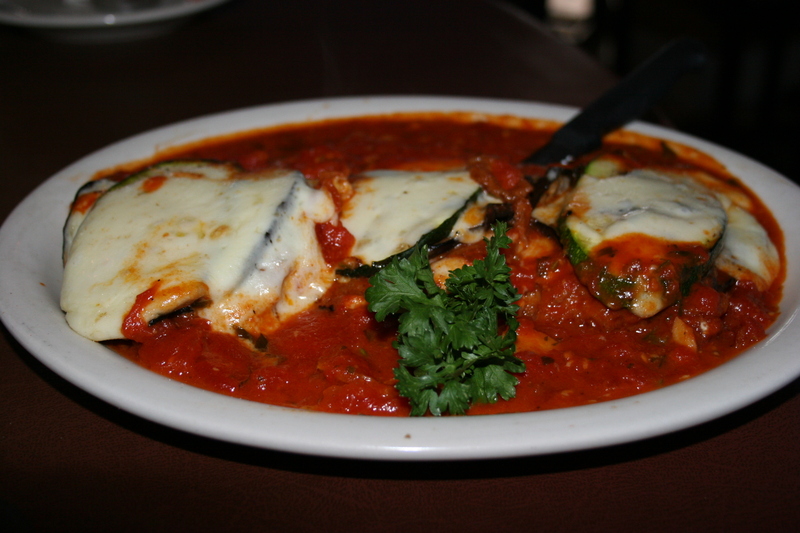 Ange decided he was going for a veal dish and chose the Veal Giampino- Egg-dipped medallions topped with grilled eggplant, grilled zucchini and mozzarella cheese finished in an Aurora sauce. This one looked pretty good and I have to confess that even my dreaded eggplant phobia seemed misplaced as I viewed this nicely plated item. He really did enjoy his choice. Not quite as pleased with his dinner was Frank D. who also went the veal route with Veal Marsala- Medallions sautéed with Marsala wine, mushrooms and onions. 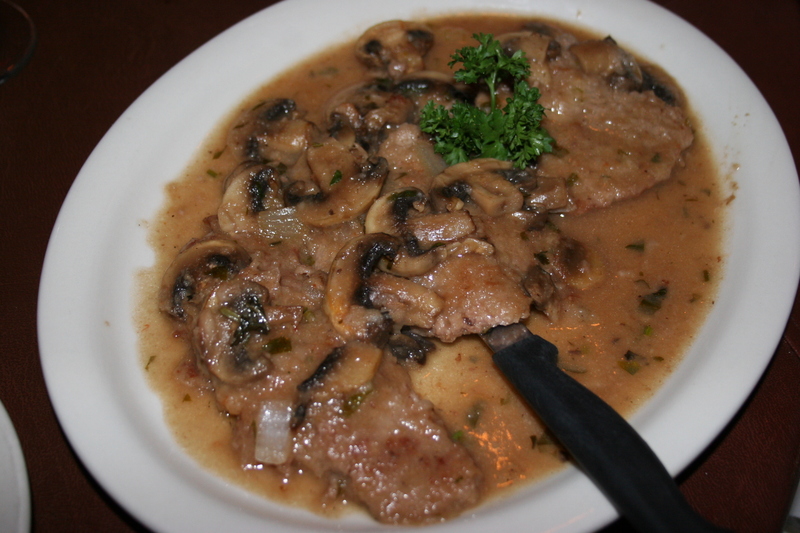 He wasn’t totally disappointed he just felt that he had enjoyed better Veal Marsala at other times. Frank did very much like the wine that I had brought for him the 2008 Finca LUZON from Jumilla, Spain. 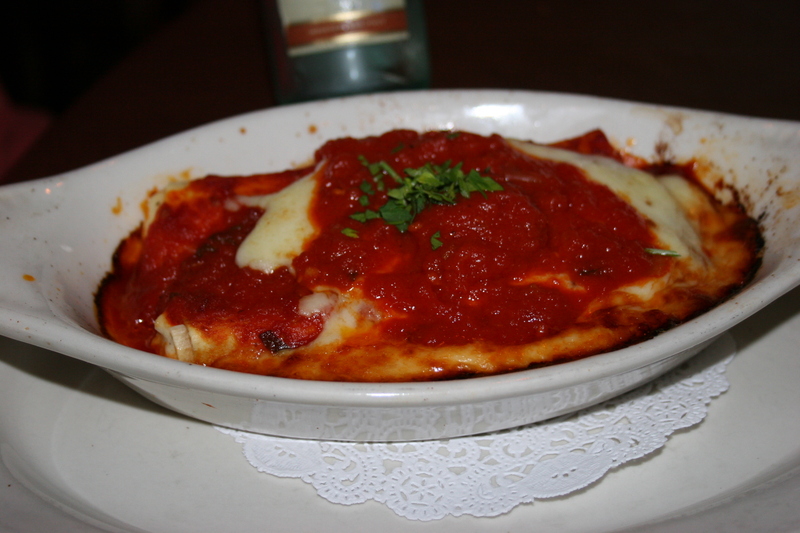 Steve J. was not in a very adventurous mood this evening and he went with the relative safety of the house Lasagna- Layered with ground beef, mozzarella cheese, Ricotta cheese and tomato sauce. He had no complaints and took a little of it home for another meal. Shannon insisted that we still had room to share a couple of desserts and she sold us on the Tira Misu and the Skors cake along with four spoons. We passed them around and they made a nice ending to the meal. There were a few folks missing this time who are usually present for these weekday dinners but the four of us still had a great time and are certainly looking forward to our next opportunity to enjoy each others company.